Floriculture The retail florist industry has been promoting the use of flowers not just for special occasions. Flowers add a feeling of warmth and welcome to any room. 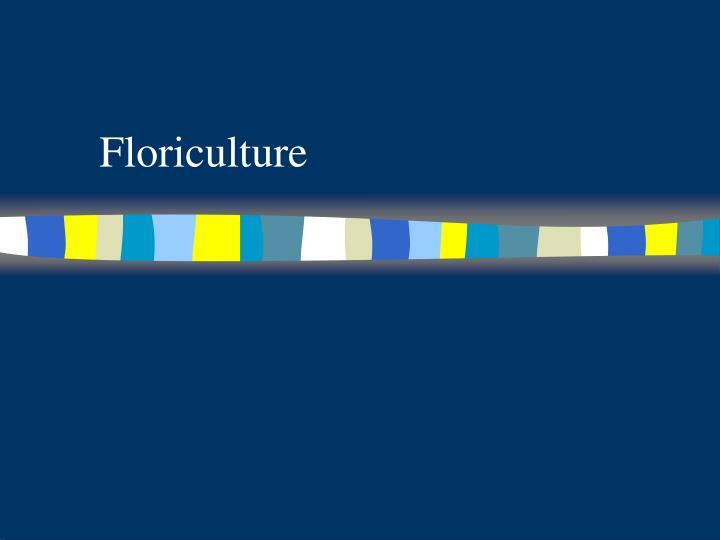 There are several job types within the floriculture industry ranging from design to sales. not just for special occasions. 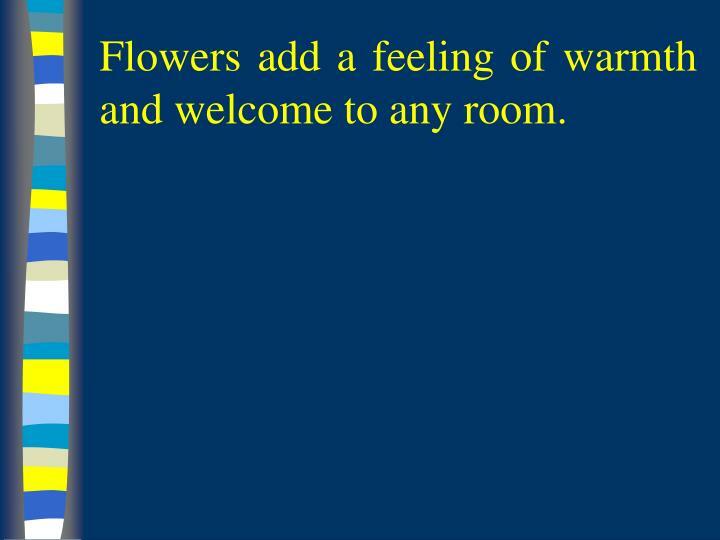 Flowers add a feeling of warmth and welcome to any room. 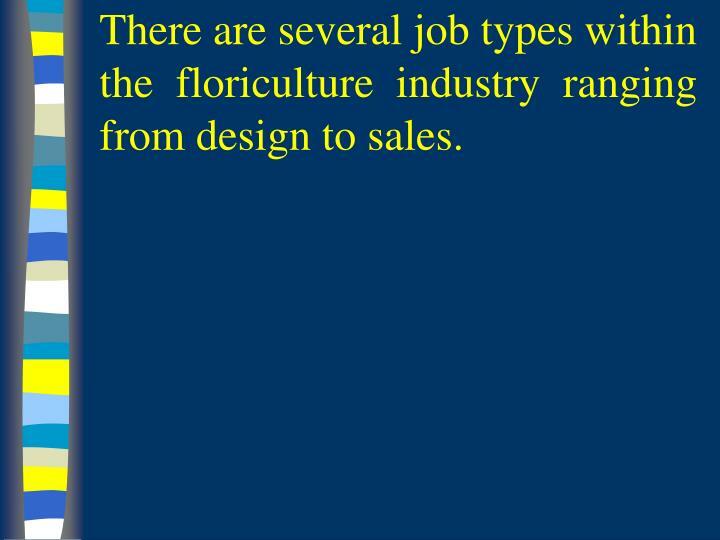 There are several job types within the floriculture industry ranging from design to sales. 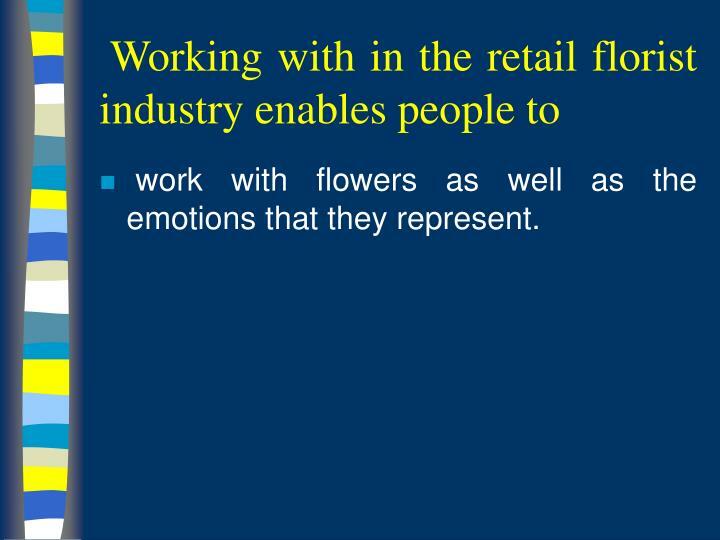 work with flowers as well as the emotions that they represent. 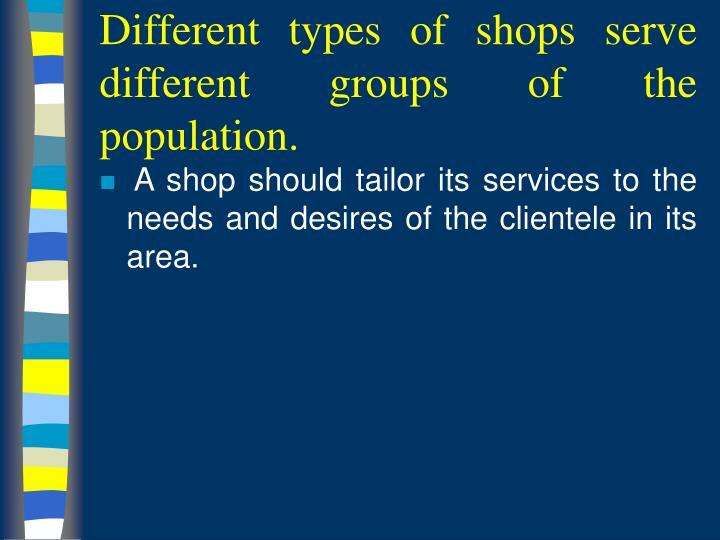 Different types of shops serve different groups of the population. 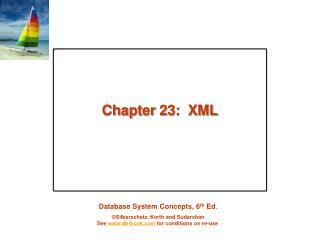 A shop should tailor its services to the needs and desires of the clientele in its area. Full service – traditional retail shop. Products and services available would include fresh flowers, blooming plants, balloons, novelty giftware, and silk and dried arrangements. 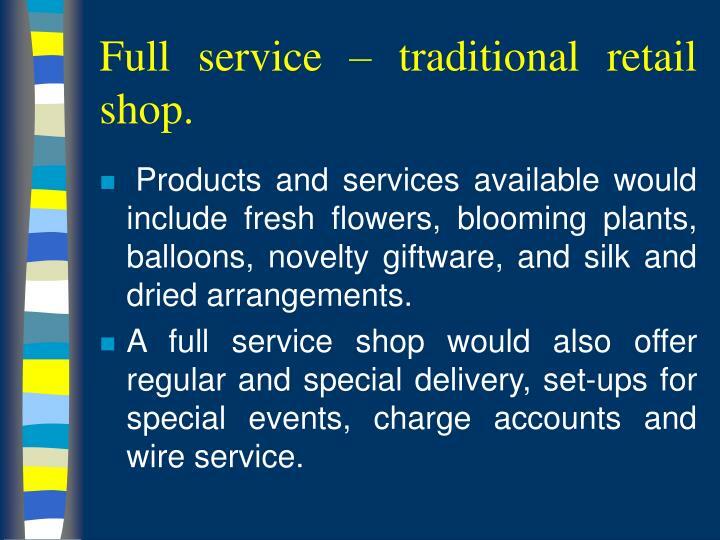 A full service shop would also offer regular and special delivery, set-ups for special events, charge accounts and wire service. 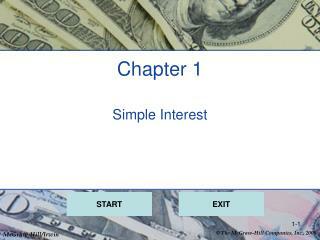 targets a specific need in the market by specializing in one segment of the industry. 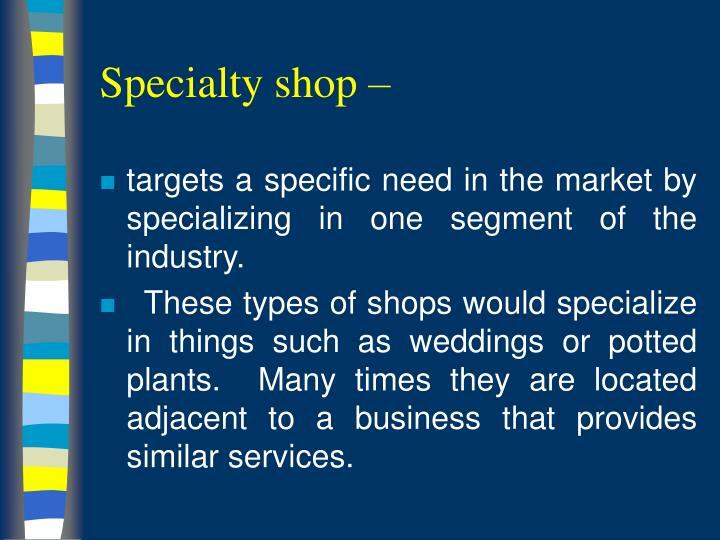 These types of shops would specialize in things such as weddings or potted plants. 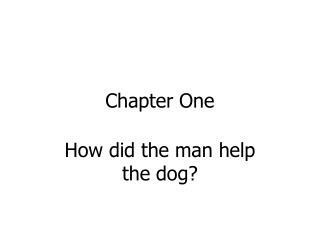 Many times they are located adjacent to a business that provides similar services. Carriage Trade Shop – Caters to an elite clientele. May offer the same services as a full service shop but prices are higher. 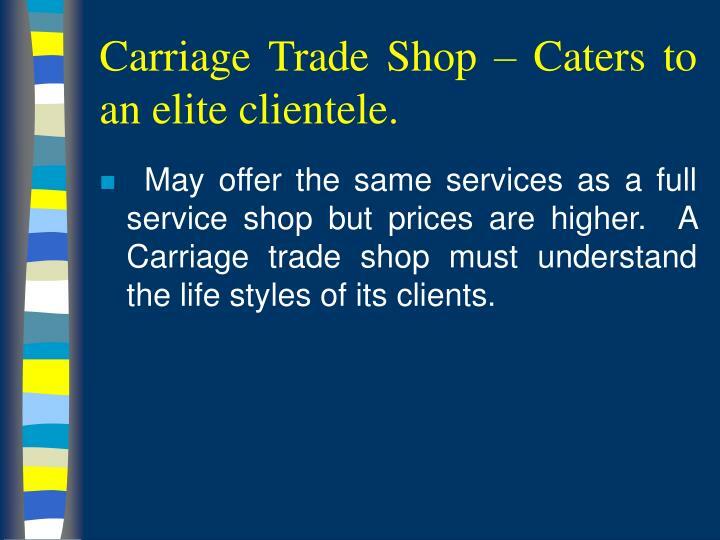 A Carriage trade shop must understand the life styles of its clients. 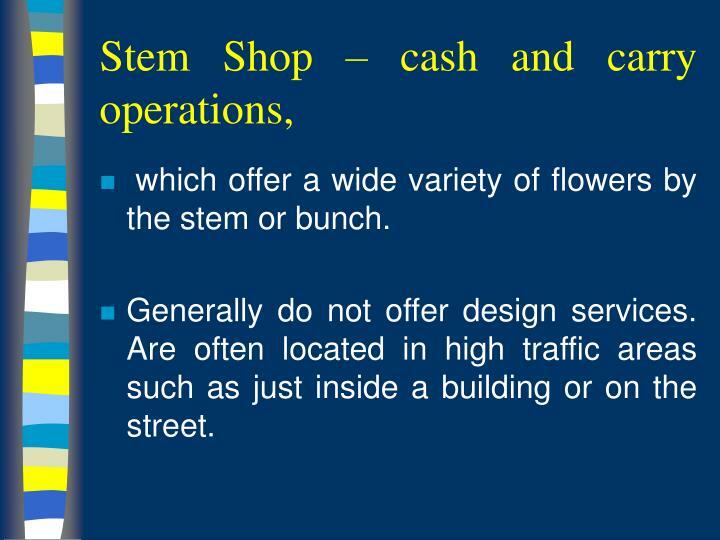 which offer a wide variety of flowers by the stem or bunch. Generally do not offer design services. 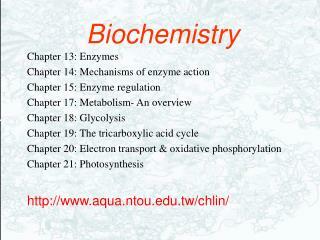 Are often located in high traffic areas such as just inside a building or on the street. 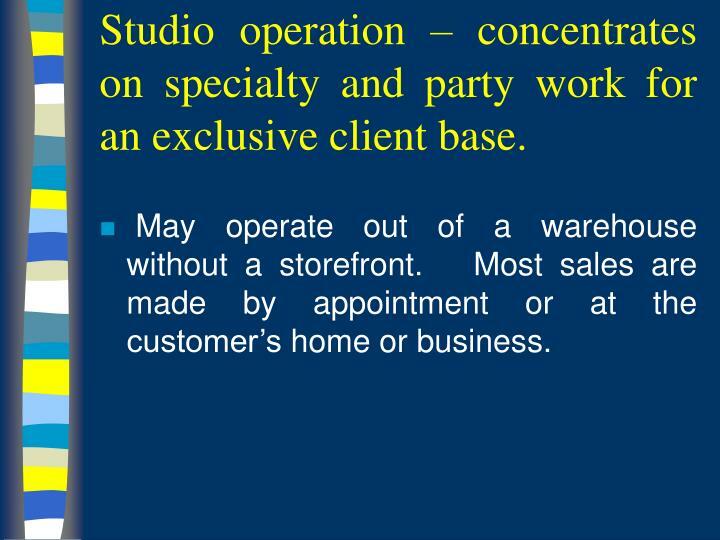 Studio operation – concentrates on specialty and party work for an exclusive client base. 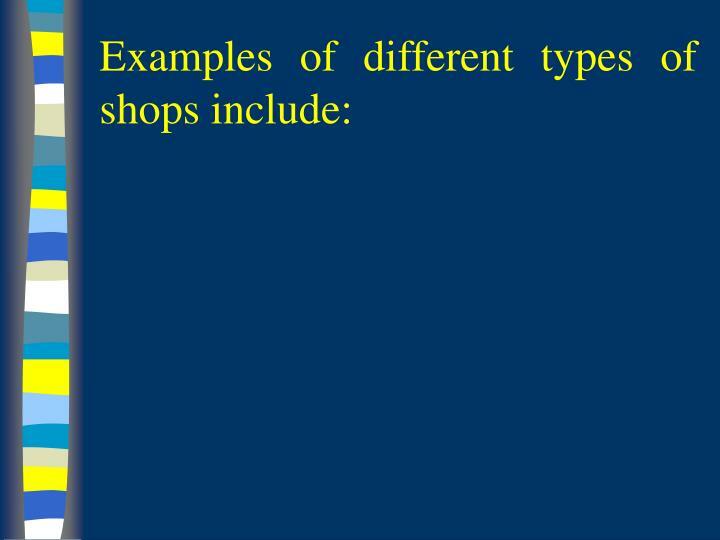 May operate out of a warehouse without a storefront. 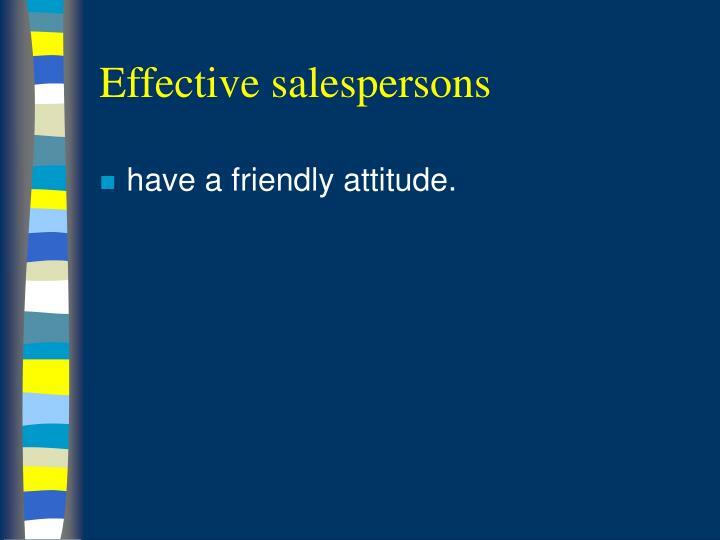 Most sales are made by appointment or at the customer’s home or business. 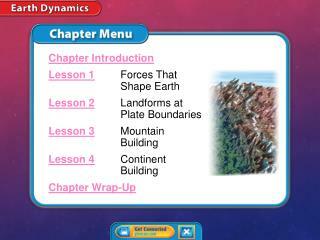 operated according to the rules set by the parent company. Resale products may have to be purchased from the parent company. 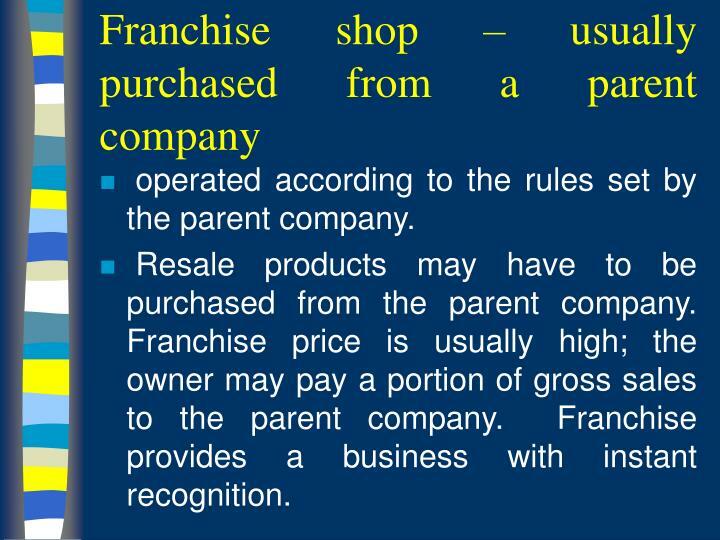 Franchise price is usually high; the owner may pay a portion of gross sales to the parent company. 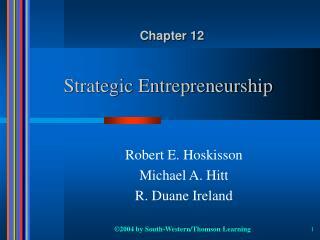 Franchise provides a business with instant recognition. Mass-Market shop - located in a general merchandise chain store or grocery store. 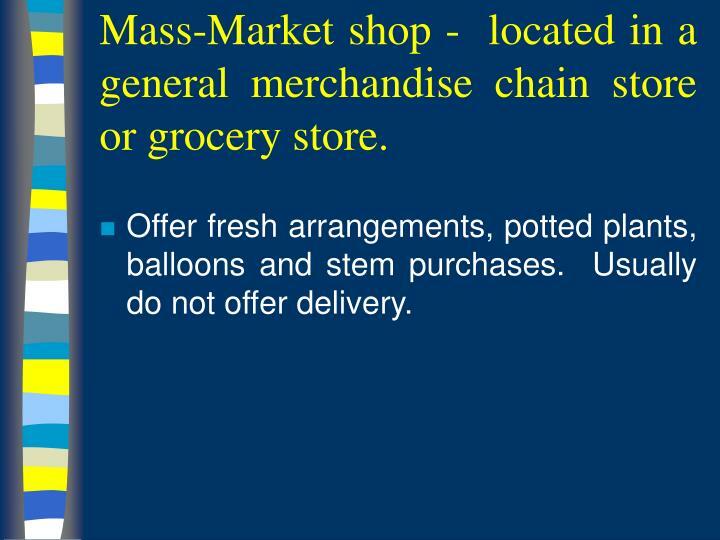 Offer fresh arrangements, potted plants, balloons and stem purchases. Usually do not offer delivery. 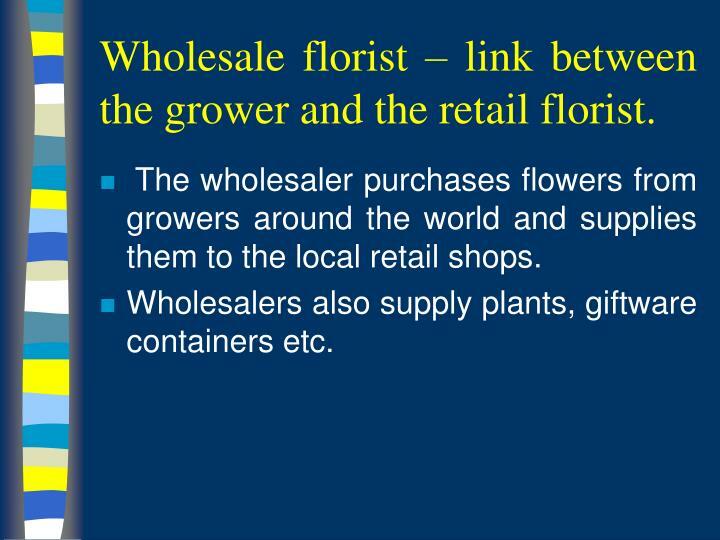 Wholesale florist – link between the grower and the retail florist. 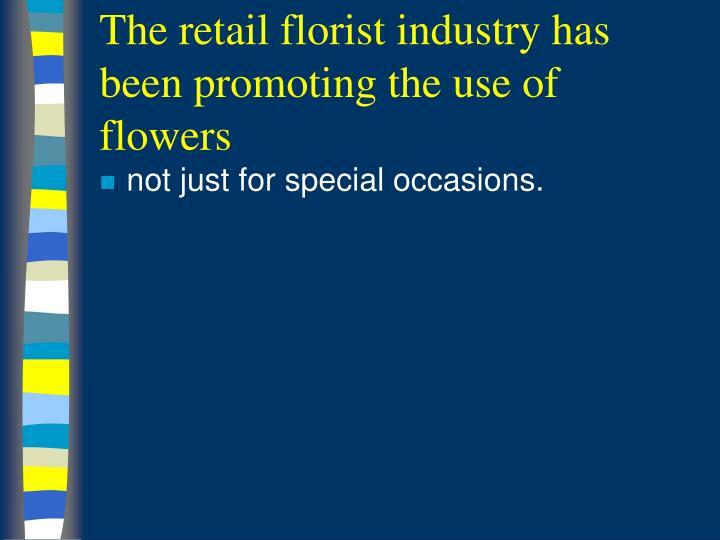 The wholesaler purchases flowers from growers around the world and supplies them to the local retail shops. Wholesalers also supply plants, giftware containers etc. 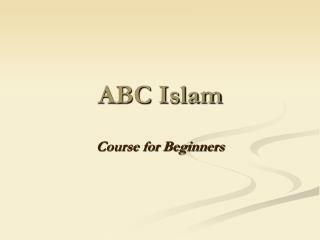 Present in nearly all towns of any size throughout the United States. 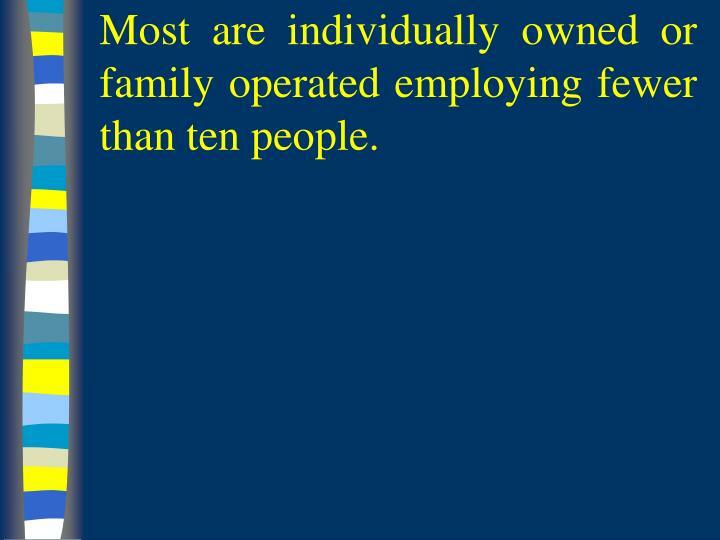 Most are individually owned or family operated employing fewer than ten people. 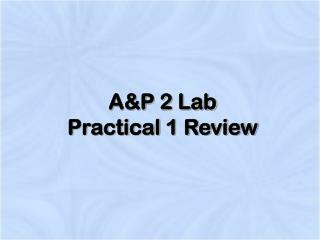 responsibilities will include hiring, training, supervising designer, salespersons, and delivery personnel. 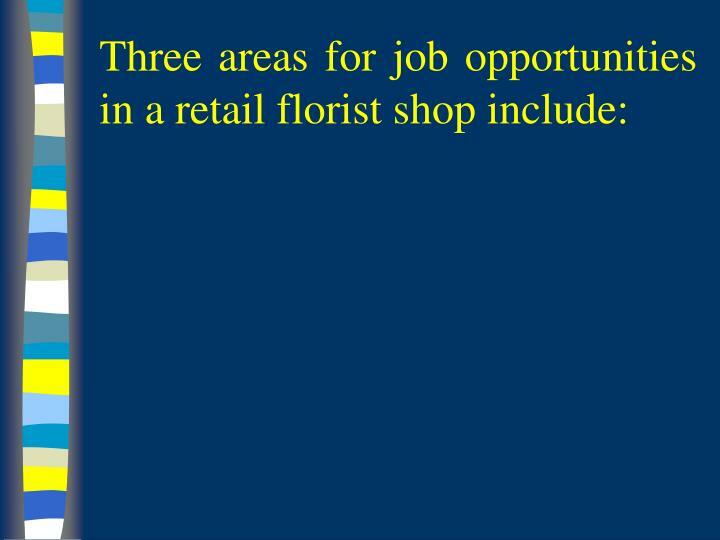 Managers may also plan work schedules, order supplies and flowers, coordinate sales promotion and advertising, and supervise or maintain shop records. 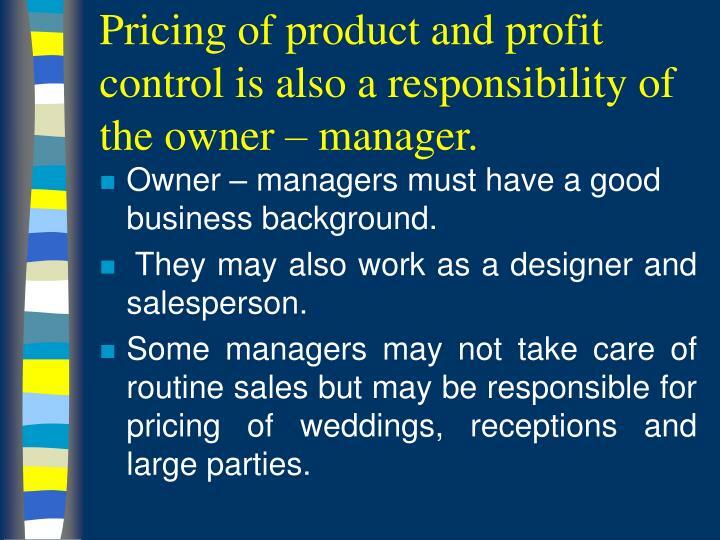 Pricing of product and profit control is also a responsibility of the owner – manager. 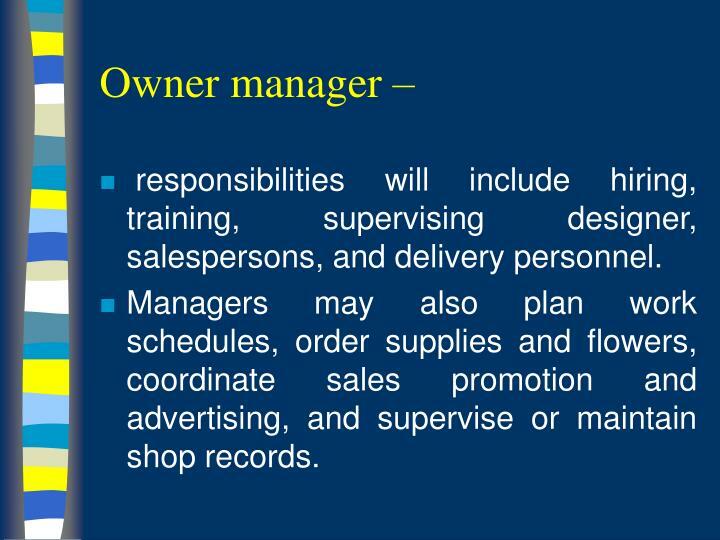 Owner – managers must have a good business background. 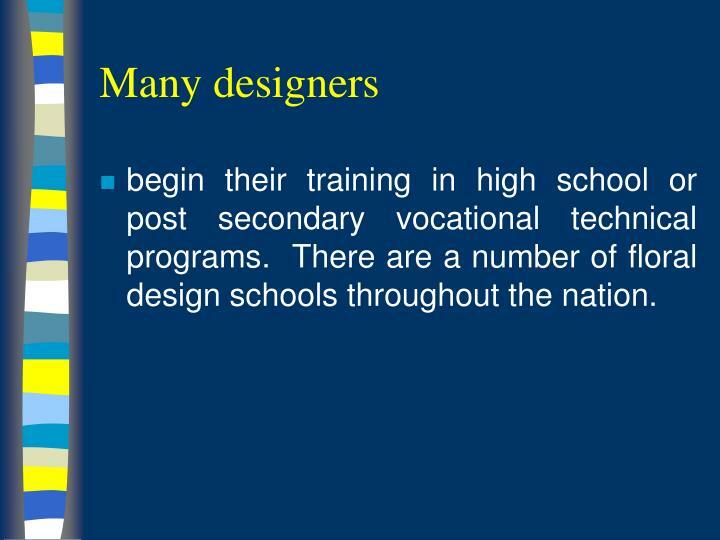 They may also work as a designer and salesperson. Some managers may not take care of routine sales but may be responsible for pricing of weddings, receptions and large parties. 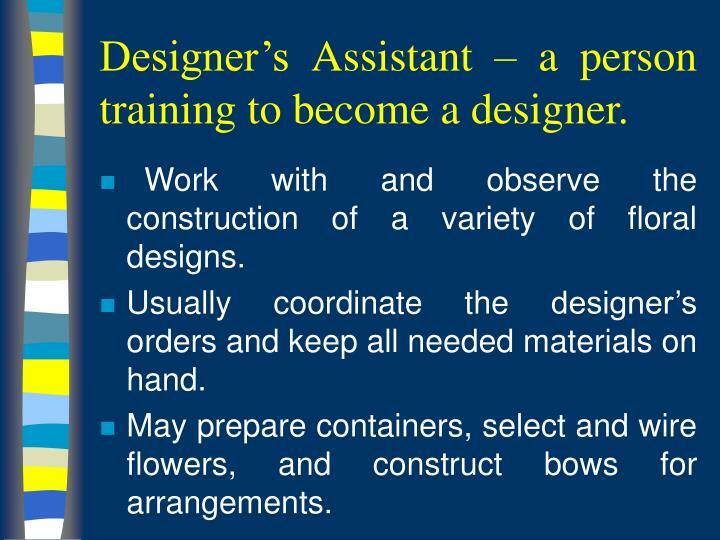 Designer’s Assistant – a person training to become a designer. 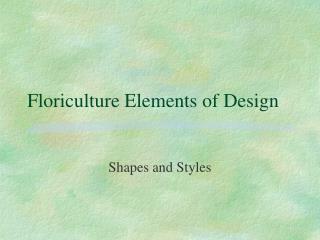 Work with and observe the construction of a variety of floral designs. 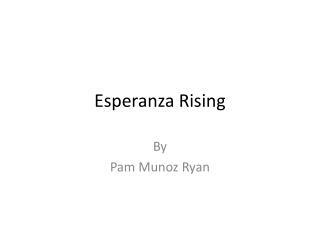 Usually coordinate the designer’s orders and keep all needed materials on hand. 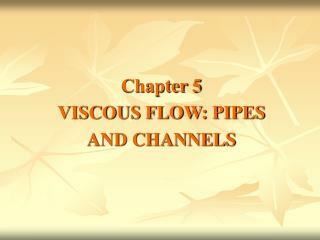 May prepare containers, select and wire flowers, and construct bows for arrangements. 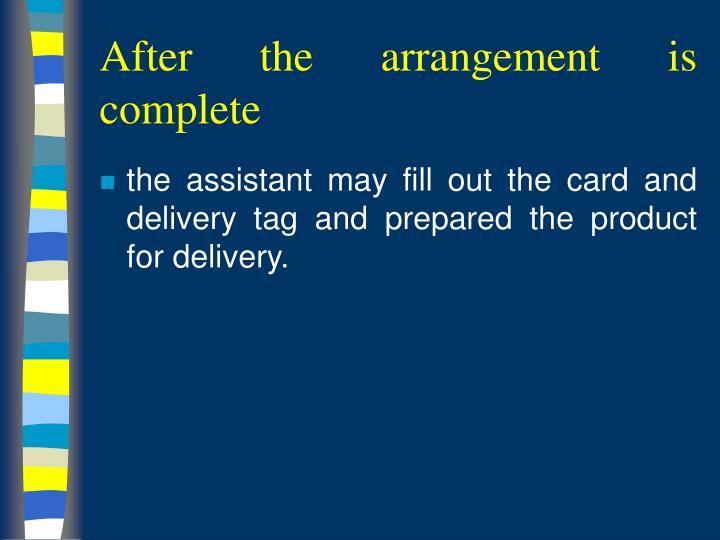 the assistant may fill out the card and delivery tag and prepared the product for delivery. 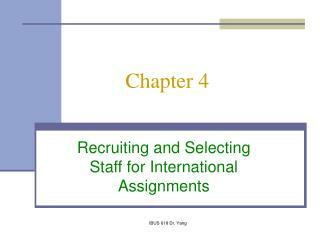 As the assistant gains experience they will be responsible for simple arrangements. 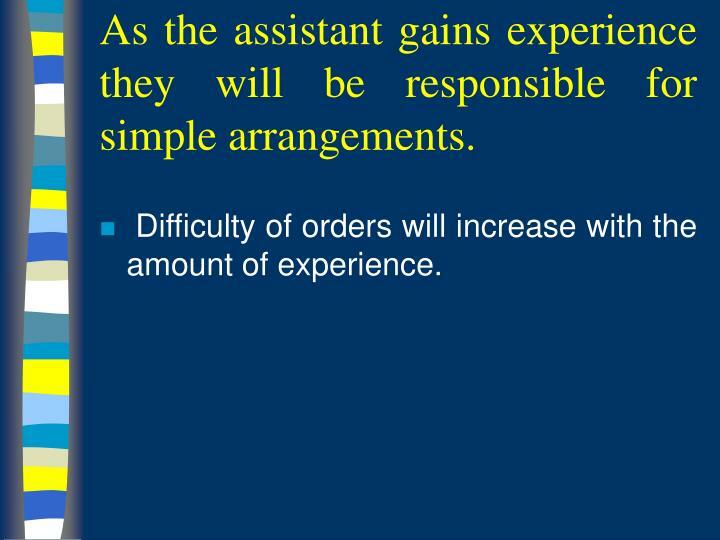 Difficulty of orders will increase with the amount of experience. 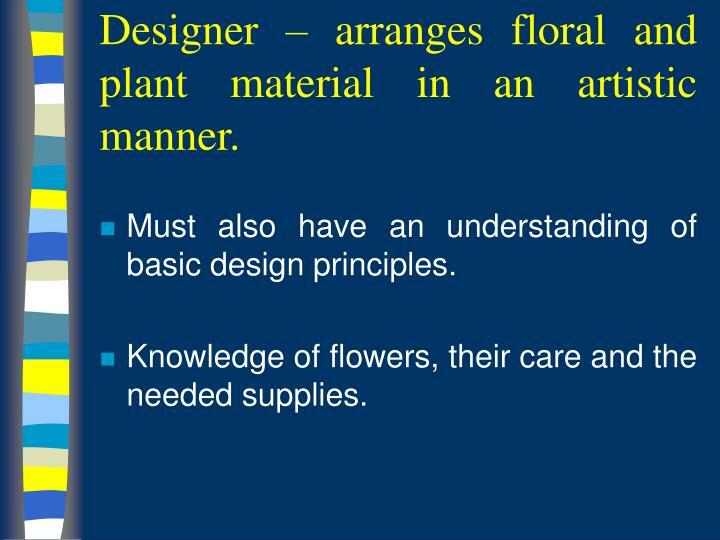 Designer – arranges floral and plant material in an artistic manner. 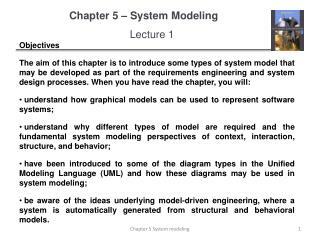 Must also have an understanding of basic design principles. 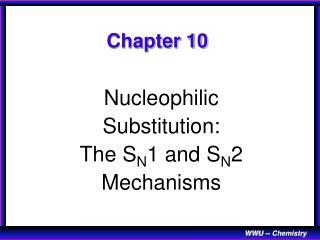 Knowledge of flowers, their care and the needed supplies. 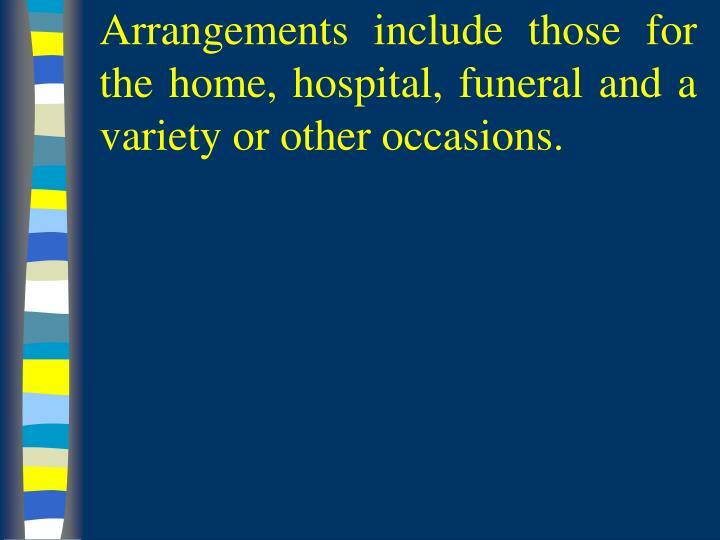 Arrangements include those for the home, hospital, funeral and a variety or other occasions. 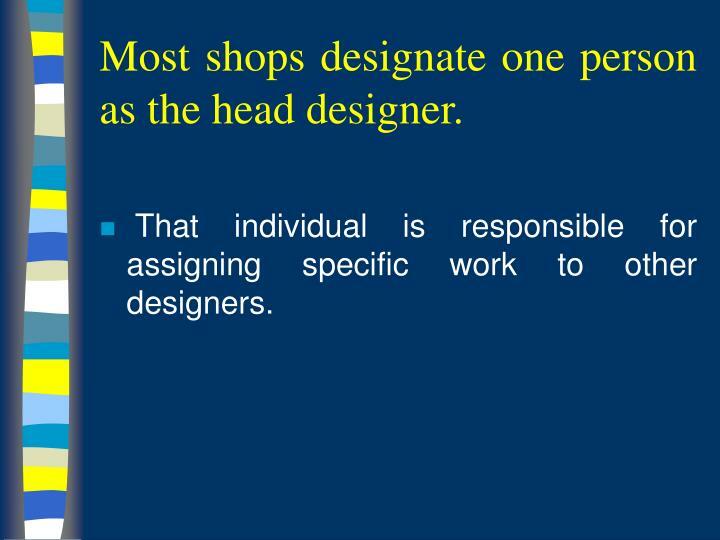 Most shops designate one person as the head designer. 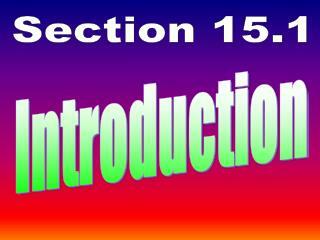 That individual is responsible for assigning specific work to other designers. 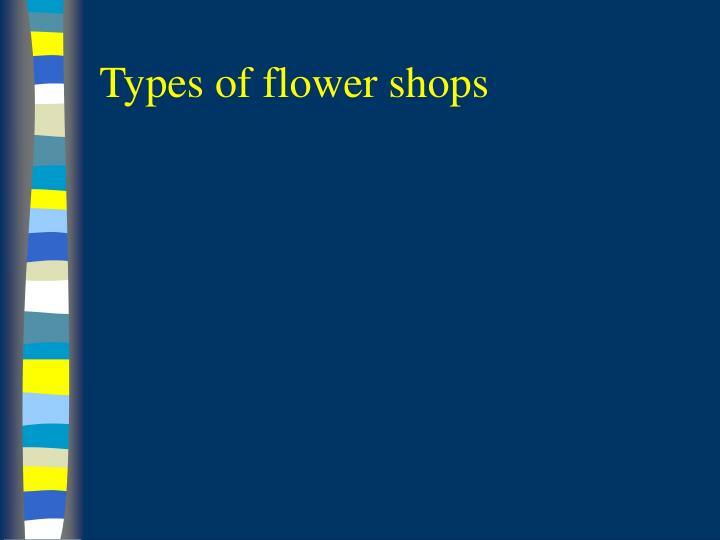 such as weddings or large parties, order flowers and supplies. 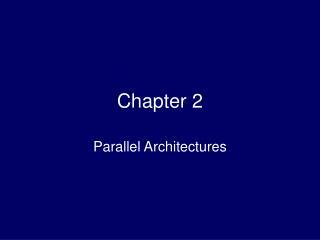 This is a difficult task, as the designer must estimate the amount of materials needed. 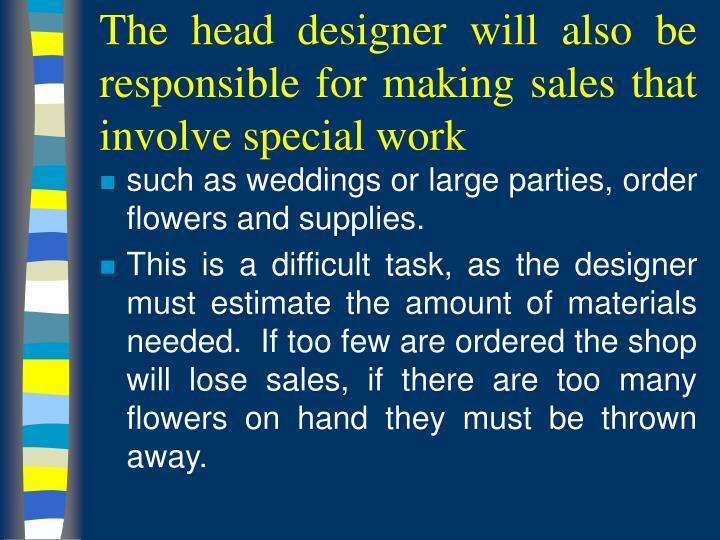 If too few are ordered the shop will lose sales, if there are too many flowers on hand they must be thrown away. 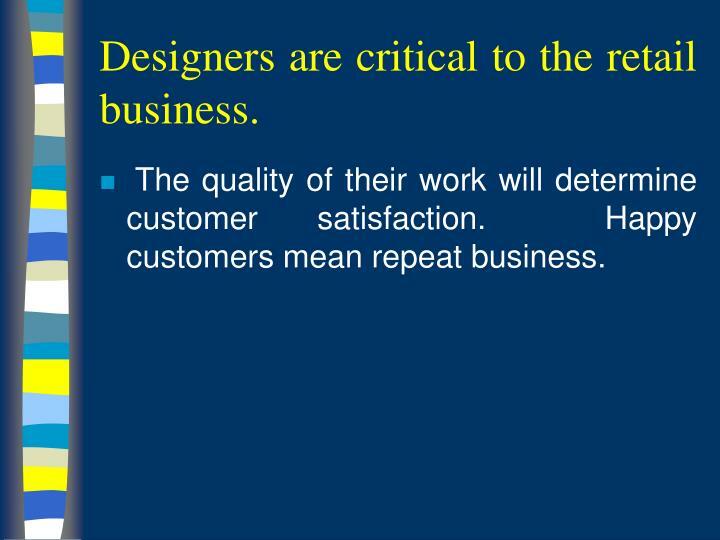 Designers are critical to the retail business. The quality of their work will determine customer satisfaction. Happy customers mean repeat business. 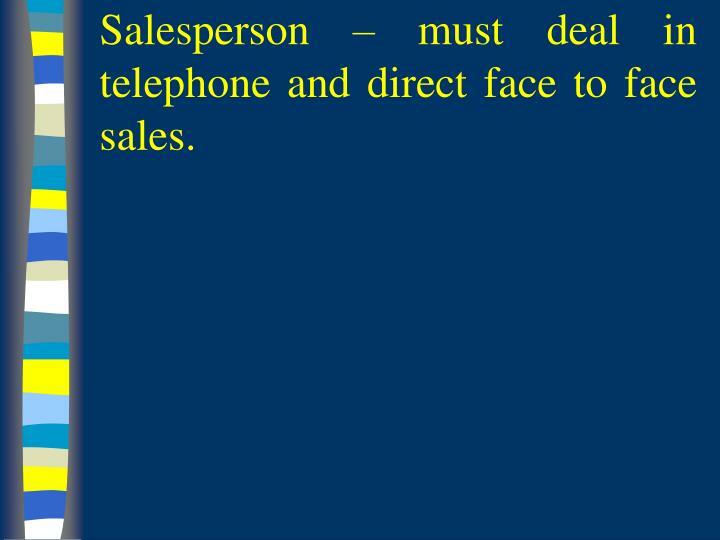 Salesperson – must deal in telephone and direct face to face sales. 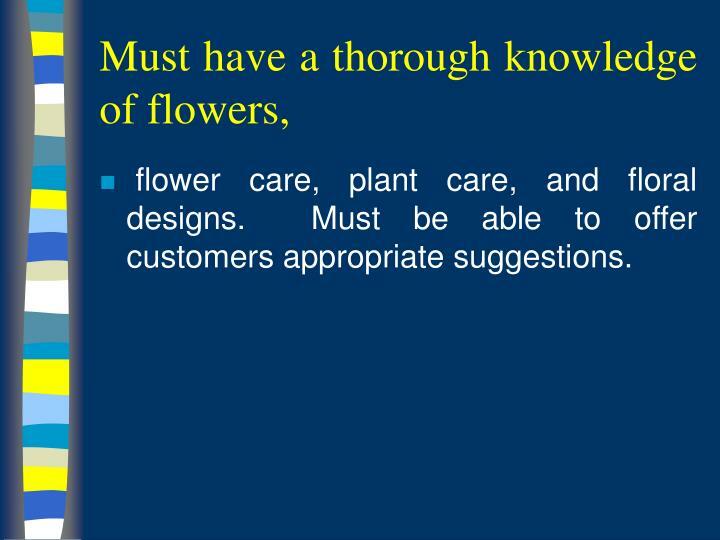 flower care, plant care, and floral designs. Must be able to offer customers appropriate suggestions. 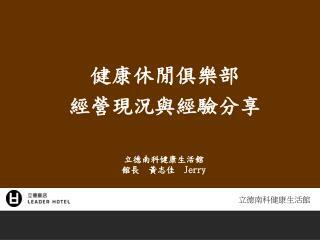 this service is a convenience to the customer. 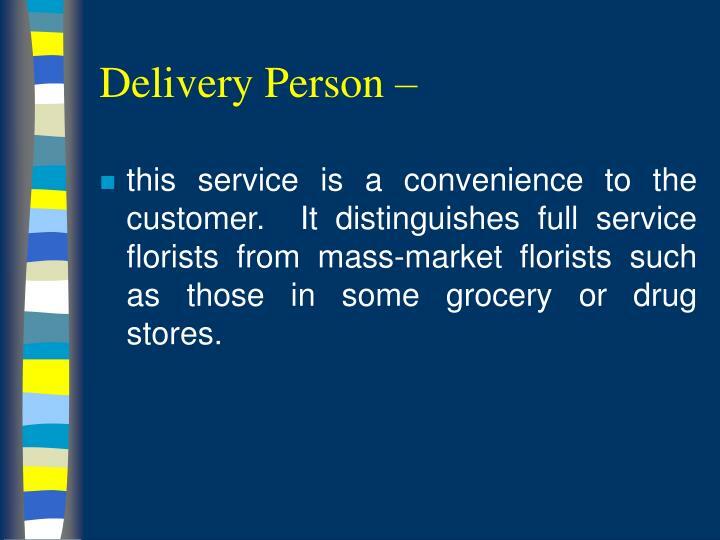 It distinguishes full service florists from mass-market florists such as those in some grocery or drug stores. 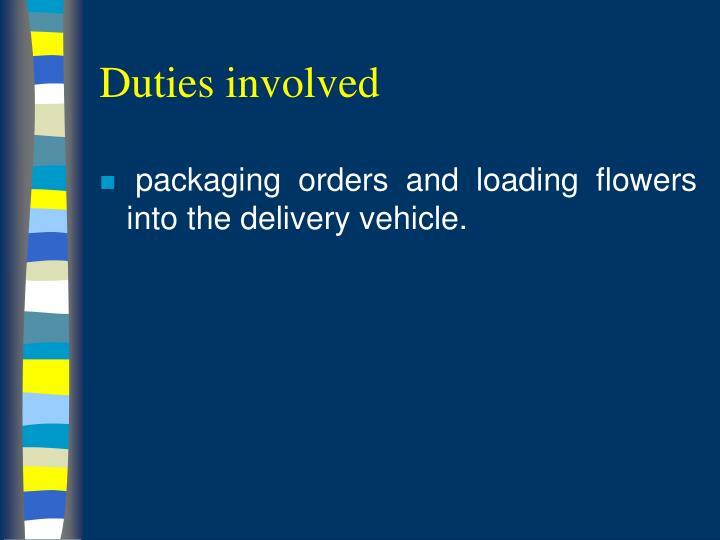 packaging orders and loading flowers into the delivery vehicle. 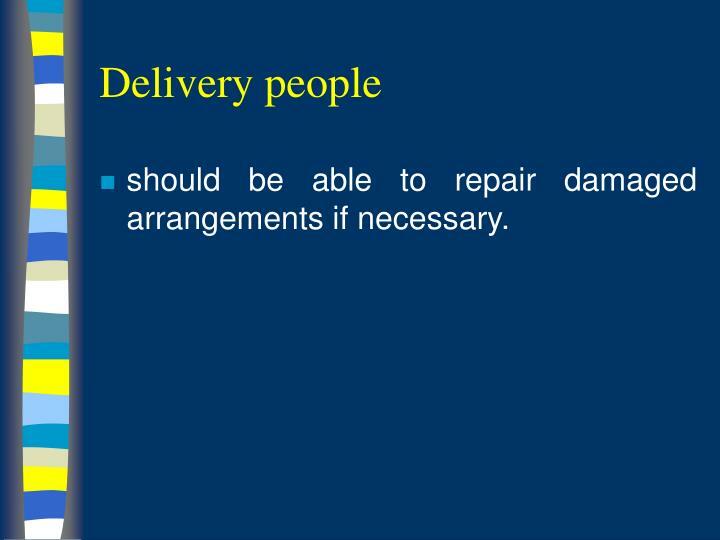 should be able to repair damaged arrangements if necessary. 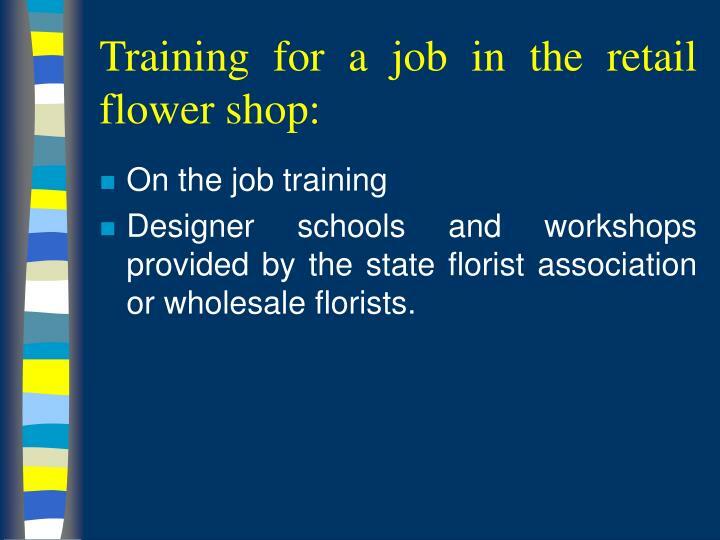 Designer schools and workshops provided by the state florist association or wholesale florists. 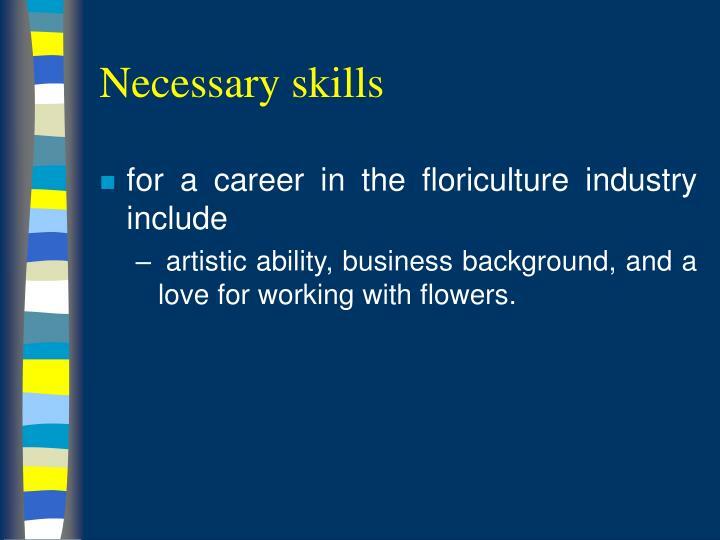 artistic ability, business background, and a love for working with flowers. 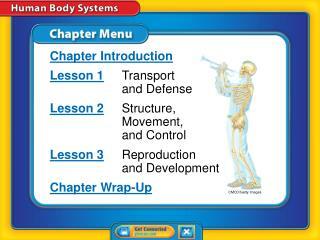 begin their training in high school or post secondary vocational technical programs. 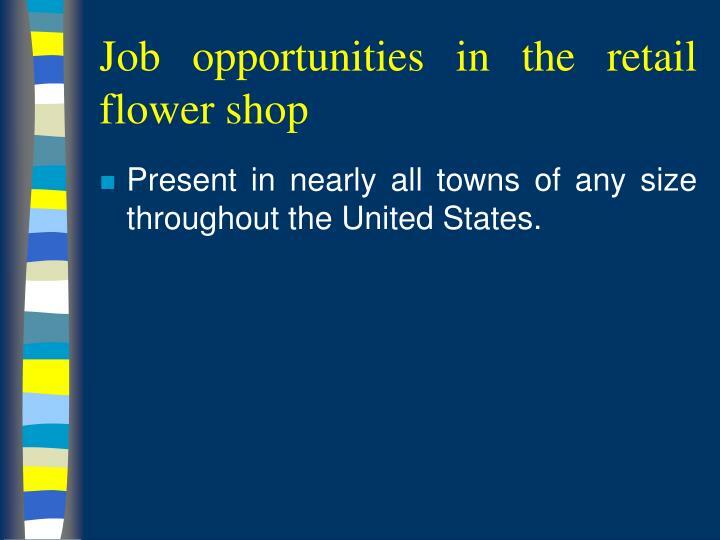 There are a number of floral design schools throughout the nation.